Find our game by downloading the TaleBlazer (MIT Step Lab) app. Then visit six sites to explore hidden Water Stories across Milwaukee. Complete Site Challenges to earn points and digital badges. Milwaukee journalist Jabril Faraj shares the story of transformation in the 30th Street Corridor where residents, organizations, and businesses are using green infrastructure and urban farming to reclaim hope in an area of the city long beset by deindustrialization and flooding. 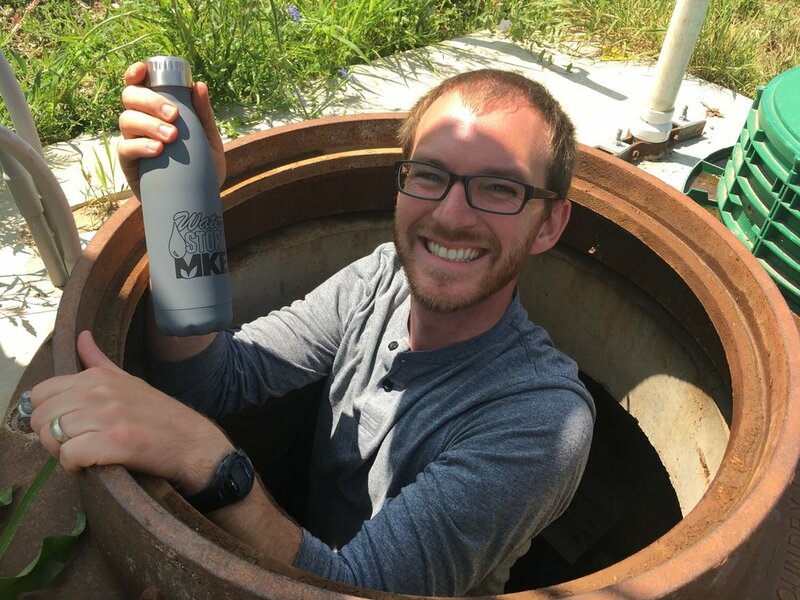 In 2018, we worked with students and teachers at UCC Acosta Middle School in Walker’s Point, Marquette University’s Haggerty Museum of Art, and the WaterMarks team to prepare student Water Story content in conjunction with the first WaterMarks marker in the city of Milwaukee at Acosta’s new building. On July 22, teams raced for exciting prizes (including kayak excursions from Milwaukee Kayak Company, a month of free biking from Bublr Bikes, a Lakefront Brewery gift basket, T-shirts from River Revitalization Foundation, and two spots on a tandem kayak paddle with Milwaukee Riverkeeper). Event photos coming soon! See this WUWM story for a summary. The start line for the four-hour adventure was at Cream City Farms, 2055 N. 30th St. The app went live at 10 a.m. Congratulations to the first Water Adventurers! On Feb. 21, 2017, Reflo partnered with Ex Fabula to sponsor a community StorySlam where the theme was "Water." 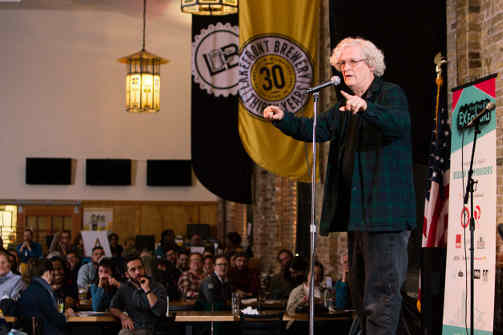 The event attracted 253 people to Lakefront Brewery to share their water stories including nine storytellers on stage, 79 who shared written UltraShorts on the theme, and dozens who tried out the Lakefront Brewery leg of Water Story MKE on our demo iPads, courtesy of Arts @ Large. Enjoy this photo slideshow of the smashing event, courtesy of Ex Fabula. All photos below by Art Montes. UW-Sea Grant and Wisconsin Coastal Management also supported the Ex Fabula StorySlam, and Sea Grant's Moira Harrington's blog post reflecting on the human focus of the event can be read here. Stay tuned for future news about new Sites & Treks!